ALBANY, NY (August 25, 2017) -- Richard J. Sullivan, owner of Quigley Bros. Funeral Home in Cornwall-On-Hudson, was installed Secretary/Treasurer at the organization's annual meeting held on August 21, 2017 in Saratoga Springs, NY. A New York State licensed funeral director since 1982, Rich will serve for the 2017-2018 term. 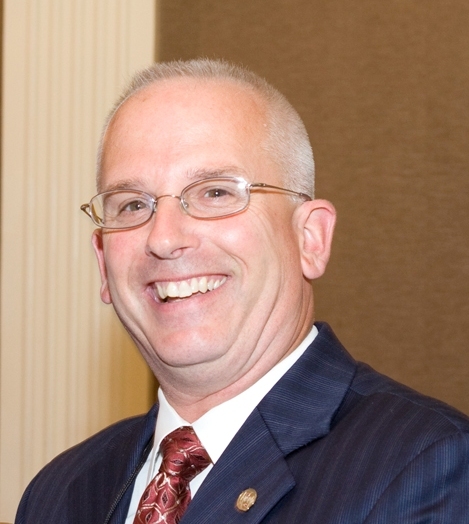 "I look forward to working with the members, leadership and staff of NYSFDA to continue our goals of being the premier association of funeral service to the communities we serve," says Rich Sullivan. Rich has been a member of NYSFDA for almost 30 years and has previously served as Region 7 Director for the Hudson Valley. Rich is the past chairman of the NYS Tribute Foundation, a 501(c)(3) not-for-profit organization, established in 2003 out of a desire to unite the knowledge and resources of funeral service professionals throughout New York State.